On 25 April 2018, V.O. Chidambaranar Port has achieved yet another milestone byhandling the vessel ‘M.V. Venus History’ with 38 metres across the beam. The vessel ‘M.V. 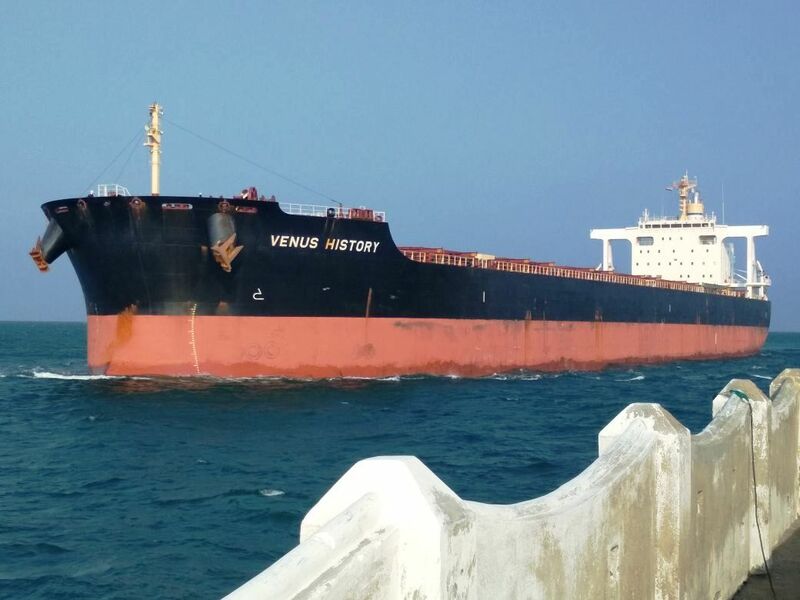 Venus History’ with Length Over All (LOA) of 235m, Dead weight Tonnage (DWT) of 95,692 MT, Net Registered Tonnage (NRT) of 50,647 MT and 38 metres across the beam called on V.O. Chidambaranar Port. The vessel has commenced its journey from the Port of Saldanha Bay, South Africa enroute Mormugoa Port and has arrived at V.O. Chidambaranar Port. The vessel was berthed at Berth No.9 on 25 April 2018 at 1730 Hrs. and the discharge of 45,000 Tonnes of iron ore lumps with three harbor Mobile Cranes commenced at 1830 Hrs. The vessels is expected to sail to high seas on 26 April 2018. The arrival of iron ore consignment for M/s. Sree Rengaraj Ispat Industries Pvt. 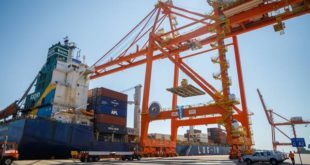 Ltd., Perundurai is a new cargo for the Port. It is expected that the Consignor M/s. Sree Rengaraj Ispat Industries Pvt. Ltd., Perundurai would handle around two lakh tonnes per annum initially. The Ship Agents for the vessel ‘M.V. Venus History’ are M/s. 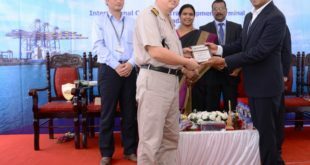 Admiral Shipping Limited, Tuticorin and the Stevedores are M/s. SICAL Logistics Tuticorin. With the arrival of larger ships, India Cements have proposed to transit Cement slag from Visakhapatnam to a tune of four lakh tonnes per annum. “With the arrival of the first vessel over 38 metres Across the Beam, V.O. 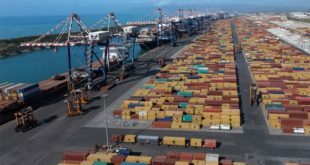 Chidambaranar Port is taking part in the next stage in international shipping along the East Coast of India. 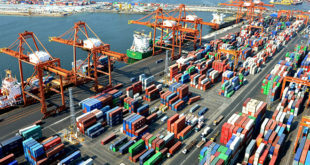 I would like to recognize the hard work of Ship Agents, Stevedores, Harbour Mobile Crane Operators, Officers and Staff of V.O. Chidambaranar Port and especially the Deputy Conservator and his team of Pilots for effectively handling the vessel of this size.” said Shri I. Jeyakumar, IRTS, Chairman, V.O. Chidambaranar Port Trust.